CHANDIGARH : If the number of tourists, especially foreigners coming to Himachal Pradesh in the previous year is any indication, State tourism seems to have defied dooms years and bucked the trend. Across the country, incidents of tourist harassment have dented the tourist inflow and fortunes of the hotel industry, the tourists have found Himachal Pradesh best place to visit. In turn, it increases number of tourists. According to official data, the state has witnessed an increase in the number of tourists visiting the state in the previous year. In 2016, over 1.71 crores tourist different parts of the country and world visited the state compared to 1.60 crore in 2015. Of these, 4.06 lakh foreigner tourists have made it to Himachal Pradesh compared to 3.90 lakh during 2015. The official of the tourism department stated that in 2011, over1.32 crore tourists –foreginers as well as domestic—have visited the state. He attributed the rise in the inflow of foreign tourists to a number of factors including peaceful, salubrious climate and up gradation of infrastructure to provide comfortable stay to the visitors. There are 2546 guest houses/hotels having bed capacity of 68537 registered with the Tourism Department till 2016 against 1358 in 2015, he says. He also added that the guest house and hotels registered with the department have increased their bed capacity over 5 000 in a year. Besides, 58 hotels across the state were owned by the HPTDC. These hotels have bed capacity of 2332 beds. “Also, we have moderate and affordable tariff compared to other metropolitan cities in the country. Neat and clean budget accommodation adds to the inflow,” he said. The tourism department has also wide network of accommodation that comprises hotels, guest houses, log huts, circuit houses and Budget hotels suit to every one’s pocket. The HPTDC in the recent past has also operated fleet of Volvo and deluxe buses to facilitate the tourists visiting within and outside the state. The official of the HPTDC said that major countries contributing foreign tourists in the State were England, America, Germany and France. 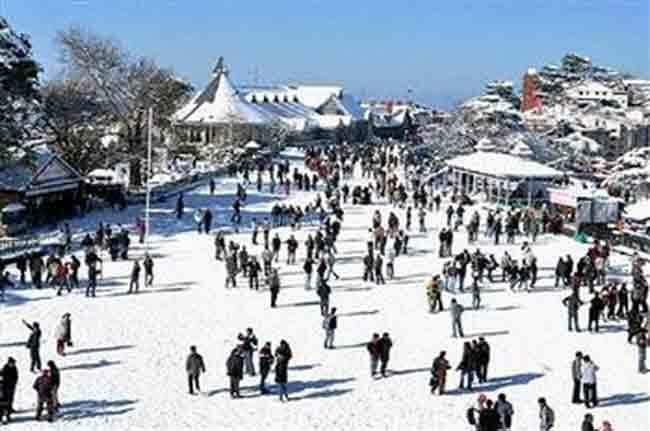 He further revealed that Kull and Shimla alone attract more than 50 per cent of total tourist inflow to the state. As per official data, state outlay plan for tourism in 1956-61 was Rs 0.002 crore which has increased to Rs 110.58 crore for the 12th Plan (2012-17) thus recorded an increase of 129.84 per cent over the previous Outlay Plans. Tourism is also one of the key factors that contributed in gross state domestic product (GSDP).